NAKHODKA, RUSSIA - JULY 29, 2015: Joyful boy and girl jumping into the sea from the old pier. 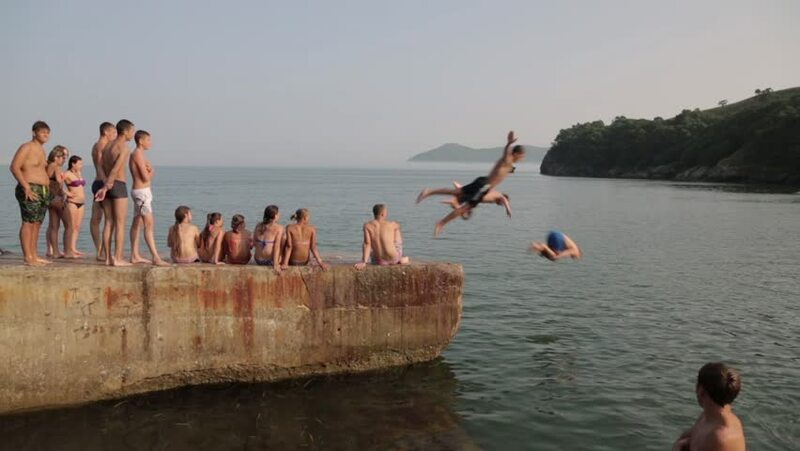 Local children love to relax, sunbathe, swim and dive in the sea bay near the city of Nakhodka. 4k00:14Israel - December, 2017: Group of men relaxing in the sea.